Soft Opening: August 13, 6pm – 8pm. 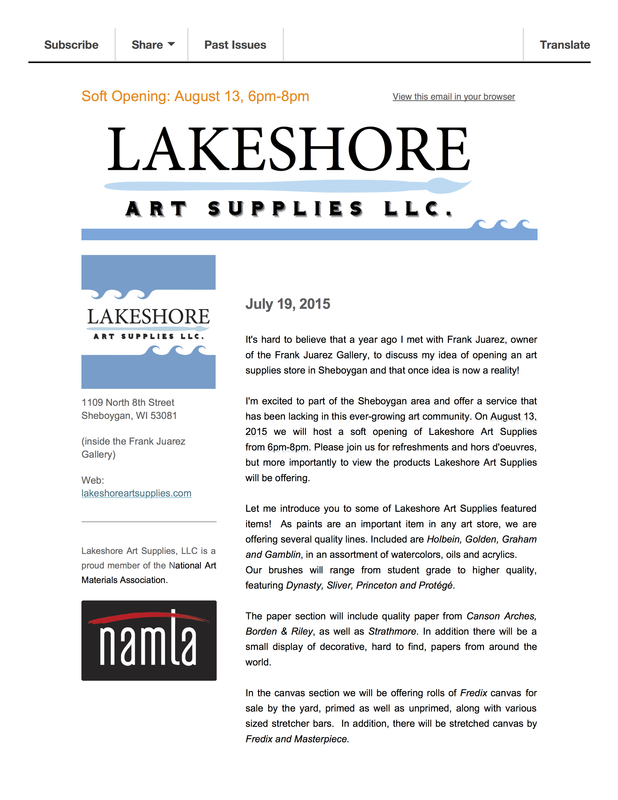 To read the entire Lakeshore Art Supplies, Inc e-newsletter #1 click here to download. The best way to stay up-to-date on what is happening at LAS is to subscribe to its bi-monthly e-newsletter. Click here. LAS is a proud member of the National Art Materials Association. This entry was posted in Art Supplies and tagged art supplies, demonstrations, high quality products, lakeshore art supplies, sheboygan, wisconsin, workshops on July 22, 2015 by Frank Juarez.